Ten years ago, the European Space Agency launched the Rosetta space probe on a ten-year mission to ‘hunt’ Comet 67P/Churyumov–Gerasimenko. Over the last few days, Rosetta has finally closed in on its prey, and today ESA scientists put it into ‘orbit’ around the comet (not a natural gravitational orbit yet, but a triangular, thruster-assisted orbit). 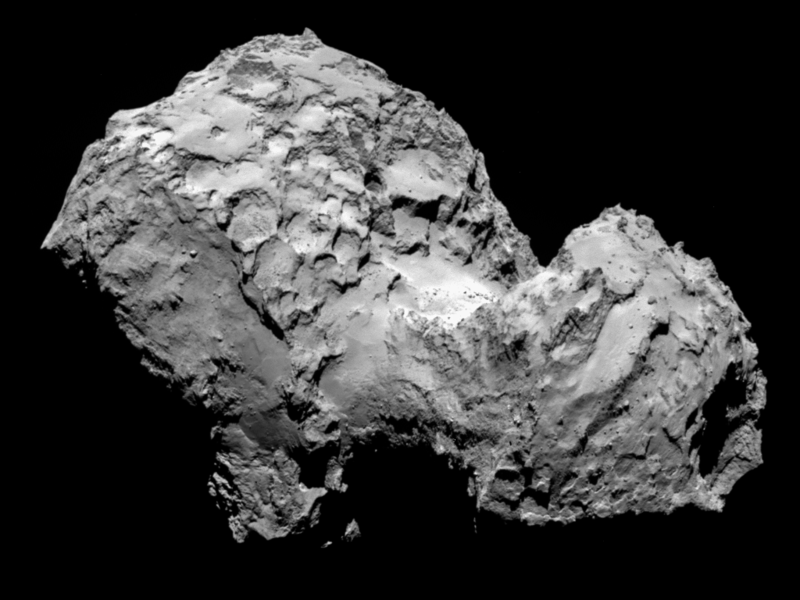 It will slowly edge closer over coming days and weeks, before eventually deploying the Philae* lander to drop on to the comet itself. With Rosetta in ‘orbit’, the ESA are now updating their website fairly regularly with new images as they are downloaded from the probe…keep an eye on the Rosetta blog and the Rosetta mission image gallery for updates, and what are sure to be jaw-dropping pictures of another world.